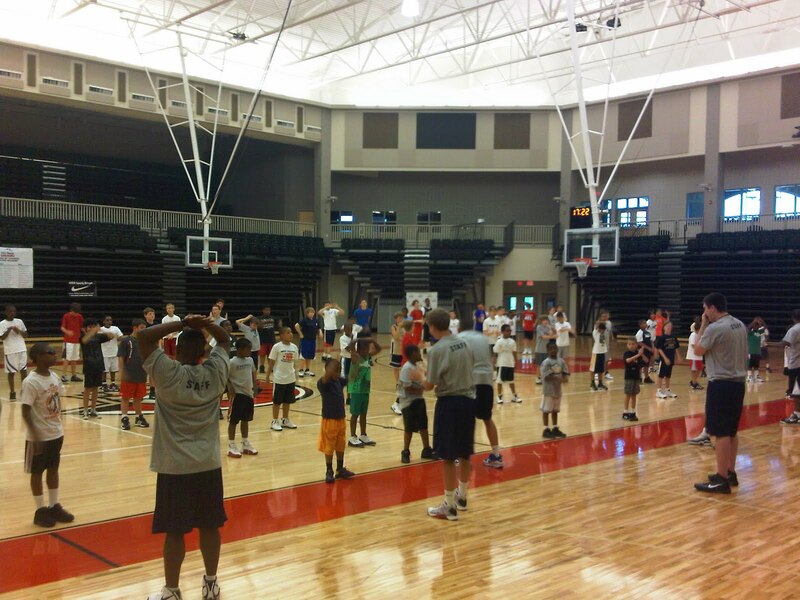 The NIKE Elite Hoops Boys Basketball Camp at Greater Atlanta Christian in Norcross, Georgia began yesterday with 100 kids having one goal. Camp Director, Lee Miller, told all of the campers that their one goal for the week is to get "1% better each day." While 1% might not seem like a a big change, as John Wooden stated, "little things make big things happen." 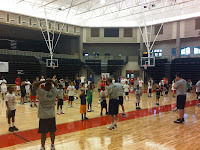 For the second consecutive year, our NIKE Camp at GAC is soldout with 100 kids. We have a tremendous staff of 14 consisting of high school and collegiate coaches as well as collegiate players. Everyday players will work for 2 hours of fundamental skill development, play one 5on5 game, compete in our Living by Numbers contests and also play participate in our 3on3 CutThroat games.